Kata Bucha is a Thai Language terminology that has become internationalised with the spread of Thai Buddhism around the world, and whose semantic origins derive from the Sanskrit/Devanaghiri ‘Ghata Poojah’. A Kata is in principle an Incantation, Prayer or Dhamma Sermon, or can also be Sorcerous in Nature (Black Magick). Kata Bucha are used to worship The Triple Gem, certain manifestations of Buddhas and Deities, or invoke the powers within amulets, Pay reverence to Guru Monks or even ‘Sing Sathit’ inanimate objects believed to have spirits dwelling within them. Kata Chanting, is in principle the same as prayer chanting in Buddhism, with the difference that a Kata has a specific meaning if meant as Dhamma Practice, or if used as a Magical Incantation, will have a specific goal or target. 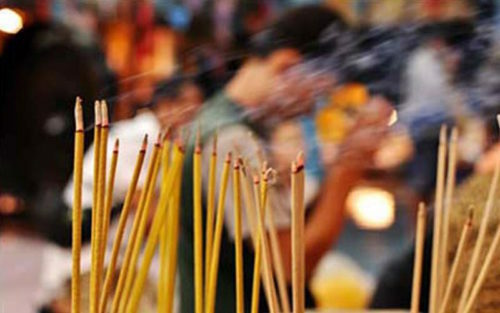 Kata Chanting is often highly misunderstood by those who are fervent about the practice, but it is said that the Lord Buddha himself recommended Chanting Sutras (Dhamma Formulas) as a Mindfulness Practice to reinforce one’s resolve and increase rapture in understanding the mantras and prayers which were used. There are Buddhist Kata, Khmer Kata, Animist and Black Magick Kata, all of which should be looked at in their own context and seen in a different light. Almost all Thai Buddhist Amulets have a Kata for chanting to empower and call upon its blessings, and this has led to a plethora of Kata Chants which can be found for specific amulets or specific aims. If one were to list all the Kata in existence in Thailand, one would probably need to write 5 books the size of the Holy Bible and still not complete the work. So many are the Kata from the hundreds of Magical Lineages which have passed throughout the ages. This page contains all the Kata (‘Ghata’ in Sanskrit, meaning Mantras) for chanting to the Deities and to use for your Magic Amulets to empower them daily with your Kata Chanting. The list will grow and grow as we add as many Kata as we can for you to be able to correctly make Bucha to your amulets and Deity statues. 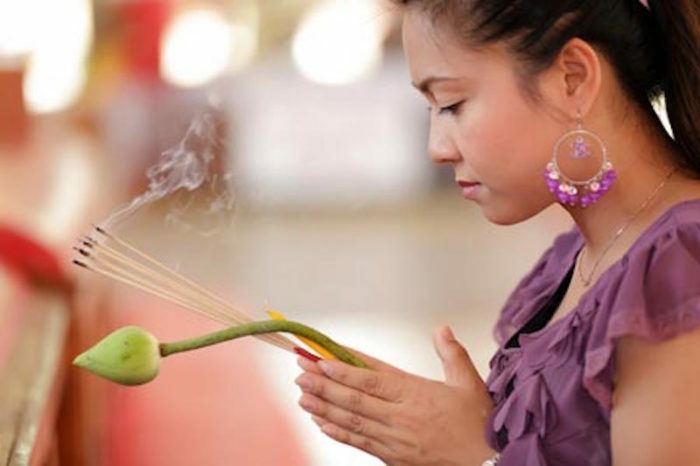 Kata Chanting is one of the five ways which the Lord Buddha said can lead to the cause for enlightenment, and also helps to develop Samadhi meditation and Magical Psychic power.